Dr. Diane Howard is a national and international movie/digital TV producer, director and coach. She also serves as dialogue/dialect/voice-over performer and coach and journalist for family and redemptive movies and media. Currently, she is producing, directing, and casting for a digital TV series, https://www.imdb.com/title/tt8501648/reference . A former Professor of Performance, Media, and Film Studies with a Ph.D. in Performance Studies (College of Communication, UT Austin), she has been involved in all aspects of filmmaking and media production, regionally to internationally. She has served most extensively in the film industry in the following roles: producer, director, dialogue/dialect/acting coach, actor, voice-over artist, journalist, and consultant. In her university teaching work, she has served in the following capacities: professor, producer, director, national/international presenter, writer, and adviser. Dr. Howard has especially enjoyed in recent years working as a dialect and dialogue coach for feature redemptive movies such as Return to the Hiding Place and Alone Yet Not Alone. She has been attached to trilogy of movies, My Heart Dies With You, as a dialect coach and actor and the movie Broken as a dialect coach. She has been also been attached to the following movies: The Prodigal Film, The Long Run, and Ruth as a dialogue/acting coach. Further, Dr. Diane Howard has enjoyed working as a journalist, writing ongoing articles based on exclusive interviews and up-to-date information from primary sources on the best in family and redemptive movies as the Austin Movie Examiner; on current, live, inspirational entertainment for AXS; on redemptive media for Sonoma Christian Home; redemptive movies and television for Movieguide ®; Christian Media for the magazine by that same name; redemptive movies for World Net Daily; redemptive movies and TV for The Christian View and more. Dr. Diane Howard, who lived her first years in mainland China and Japan, has resided all over the world. Gaining broad experience in performance communication, she has studied, performed, taught, and presented throughout the United States (including NYC) and in Europe. She earned her B.A. in English and Music at the University of Oregon. At the University of Washington, she earned her M. Ed. in Gifted Education and the Performing Arts. She earned her Ph.D. in Curriculum and Instruction Research with a specialization in Performance Studies in the School of Communication at the University of Texas in Austin. 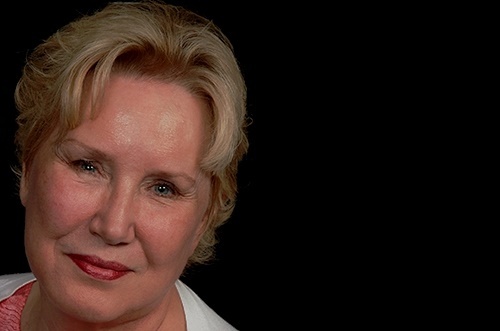 Diane Howard has been a professional actor and teacher for over 40 years. She has been a university professor of Performance Studies and Film for 25 years. She has been active in national/international publishing and presenting. She is a regional, national, and international onsite and distance public speaker, performer, and presenter. Having God-given gifts of encouragement and teaching, Dr. Howard has dedicated her whole adult life to facilitating and empowering others to use their talents and gifts fully, especially for social and eternal good. She has conducted and presented research on the power of role models for over 25 years. She has enjoyed many years of teaching, directing, and performing. She is now working primarily as a professional producer, director, dialogue/dialect coach, journalist, and performer for uplifting, edifying, redemptive movies and media. Dr. Diane Howard has been professionally recognized as an educator, scholar, and author. She received the Sears Roebuck Award for Teaching Excellence and Campus Leadership for her work at the University of Mary Hardin-Baylor (UMHB). She has been included in National and International Who's Who Directories in American Education, Professional & Business Women, American Scholars, Contemporary Authors, American Women, American Education, Women in Education, and Executives & Professionals. McGraw-Hill Inc. has published her textbooks. She has been married for forty-nine years to Dr. David Howard, former Professor of Marriage & Family Christian Counseling at UMHB. They have three sons, three daughters-in-law, and eight grandsons. Drs. David and Diane Howard are committed to their family and to being role models to them and others.